Steve Ledsham certainly didn’t bottle it when he hit the dancefloor in one of the biggest dancing competitions in the world. The sales director at the region’s biggest milk dairy beat off stiff competition to be named as winner of the Masters category at the World Modern Jive Championships in Blackpool alongside his dance partner Claire Morris. The competition was held at Blackpool Tower Ballroom, home of Strictly Come Dancing. As well winning this year’s World Championship, he has also scooped ten domestic championships including three Welsh championships, two Scottish championships, two UK championships, the regional West Midlands championship, Northern championship and the Brit Rock UK Championship. Steve said: “I started dancing nearly 20 years ago and to be honest I never thought I’d get so far with it. “Winning the championship is an amazing feeling and it really is the icing on the cake of my dancing career so far. It’s a wonderful hobby and I recommend anyone who has never given it a go to try it out. “Even if you never enter a competition, dancing is great for fitness and it’s a friendly, social scene. 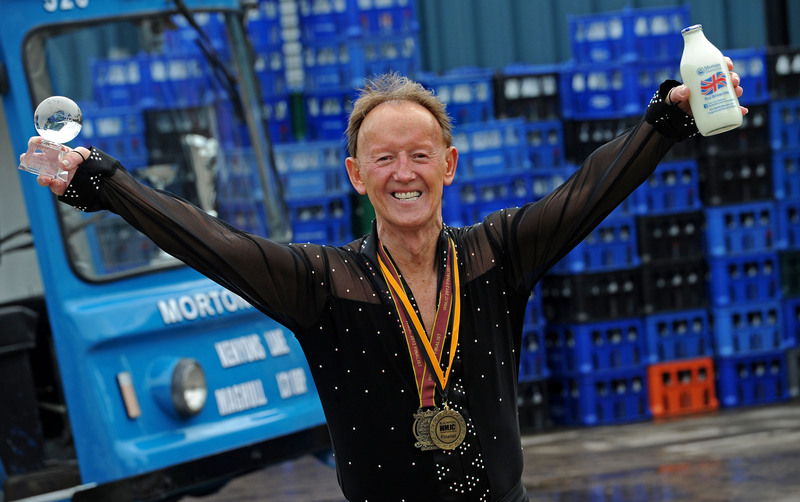 Julian Harrison, managing director of Mortons Dairies, added: “We’re delighted with Steve’s performances on the dancefloor and we are all celebrating his achievement with him. All of us here at Mortons would like to wish Steve a huge congratulations!